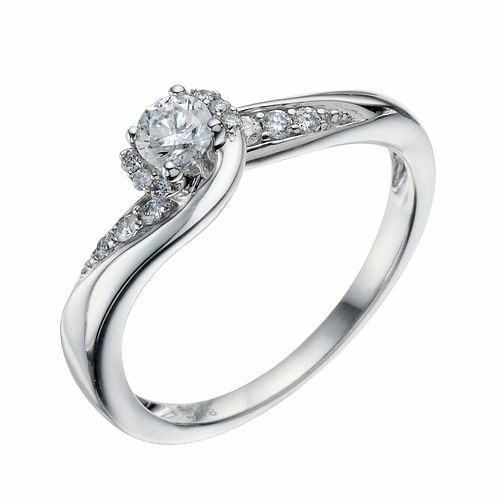 9ct White Gold 0.33 Carat Diamond Solitaire Ring is rated 4.7 out of 5 by 19. Rated 5 out of 5 by Anonymous from Beautiful product I brought this ring for my now Fiancé, and from the very first view even until now the ring sparkles and is just very beautiful to look at! H.samuel provides great designs for all your needs. Highly recommend.